Former federal prosecutor under nine US attorneys from both political parties over ten years and three districts, Sidney Powell was lead counsel in 350 criminal appeals for the United States and more than 150 since in private practice. 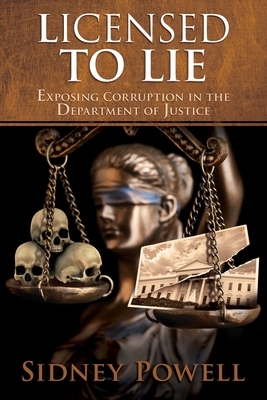 It was from her experience in several of her cases that she felt compelled to write LICENSED TO LIE: Exposing Corruption in the Department of Justice after seeing a core group of federal prosecutors break all the rules, make up crimes, hide evidence, and send innocent people to prison. The book reads like a legal thriller, but it names the prosecutors who then rose to positions of great power and the judges who turned a blind eye to their abuses of unfettered power. Sidneyis highly sought to comment on current legal issues and government investigations—especially the special investigation lead by Robert Mueller and his chief lieutenant Andrew Weissmann, who is a true villain in LICENSED TO LIE.